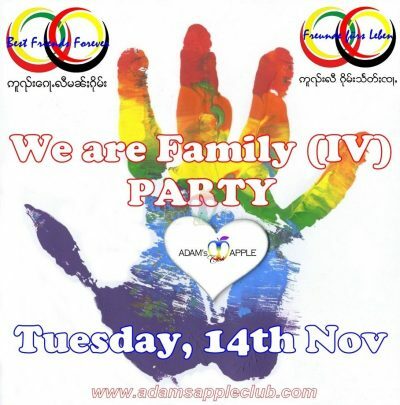 Our next big event is our PARTY: “We are Family IV” – Tuesday, 14 November. 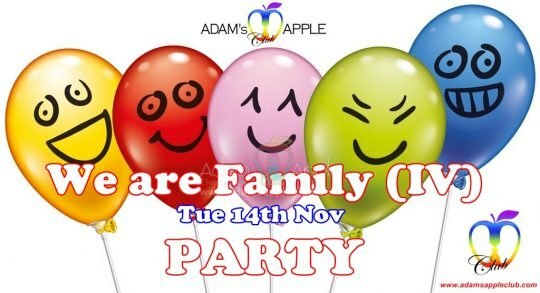 This MEGA Party will surprise you and will be unforgettable for you. A must to go! If you want to see the best and amazing side of the Gay scene in Chiang Mai. 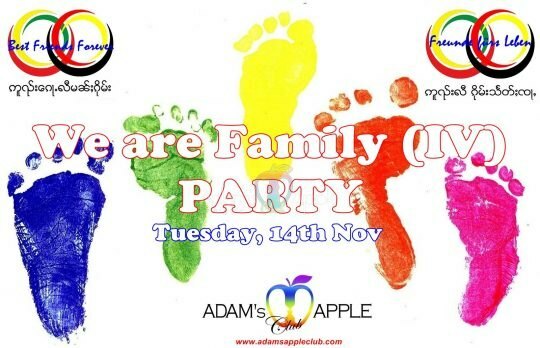 Enjoy your Gay life in Chiang Mai @ Adams Apple Gay Club Chiang Mai. Gay scene in Chiang Mai, what, where, when and how to have fun? This is no Problem – Welcome to Adam’s Apple Club in Chiang Mai – where your fantasies become reality. Enjoy a relaxing drink in our chic club surrounded by some of Asia’s most good looking young men. Keep smiling and enjoy YOUR gay life. Have fun in the No. 1 Gay Bar in Chiang Mai, with the hottest boys and the best Shows.